NOTE: F4SV Nozzles = 1-3/8" O.D. Barrel (OD = Outside Diameter). Drawings at top of page. Both the F3 and F4 have 1.5" diameter flanges. The F3 takes a 1" liner with a 3/4" entry, where the F4 takes a 1-1/4" liner with a 1" entry. Both types are 4.25" long. 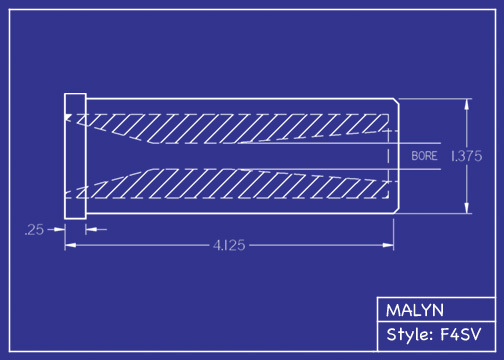 Boron Carbide Nozzle, Aluminum Jacket. Steel Jackets available below. Boron Carbide Short Venturi Sandblasting Nozzles Are The Longest Lasting Nozzles Commercially Available & Outlast Tungsten Carbide By 3-5 Times! Made in the USA - Support American Manufacturing! 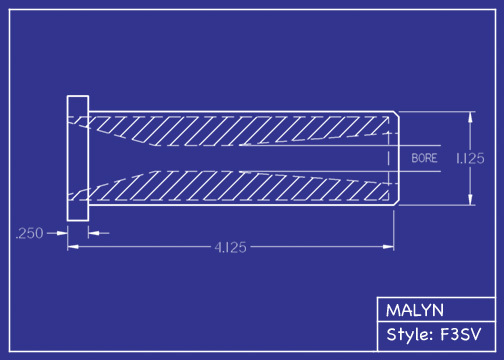 Once you use Boron Carbide nozzles, you won't go back.